During the year there is a programme of regular meetings and social events. PBKA welcomes members of other Beekeeper Associations to join us for our branch meetings. A suggested donation of £5 to contribute towards our costs (venue hire, speakers, refreshments) would be appreciated. 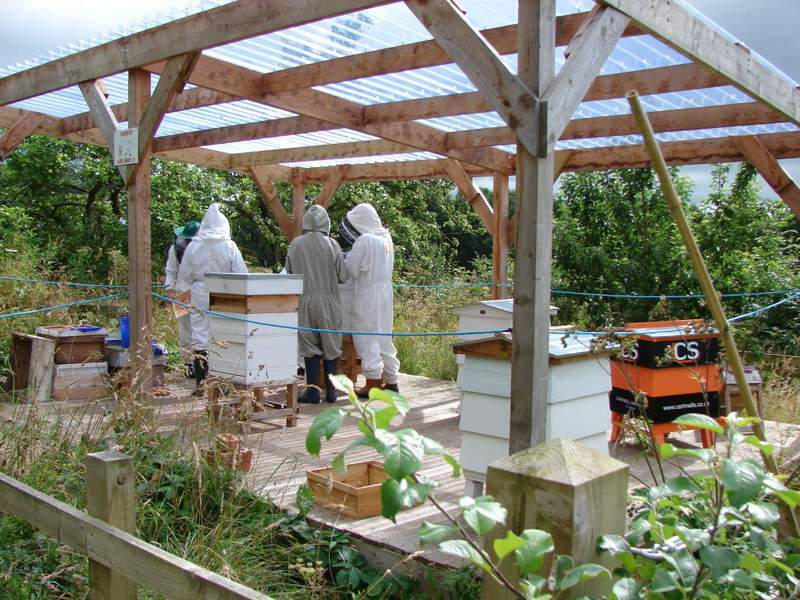 During the summer most of PBKA’s meetings are held at the Association Training Apiary at Acorn Bank (the National Trust Property at Temple Sowerby just outside Penrith). These meetings give members opportunities to learn more about beekeeping issues and exchange knowledge and news. Occasionally visits are made to members’ hives. Local events often provide PBKA with opportunities to raise the general public’s awareness about bees and promote beekeeping. The dates of these are usually included in our winter/ summer programmes and members are invited to provide support by attending them . Training programmes for experienced and beginner beekeepers take place during the spring and the summer. Dates are shown on the calendar and current programme, but further information can be found under the ‘EDUCATION’ tab in the main menu. A calendar of forthcoming events can be found under ‘Events’ tap in the main menu. Please note dates correct at time of writing. Members will be contacted if any changes arise. Branch apiary meetings are weather permitting. Please check the ‘Apiary Rules’ so that you come appropriately prepared for branch meetings at the apiary. Children are welcome to attend branch meetings at Acorn Bank Apiary. PBKA has some children’s bee suits available. Members are reminded that children must be closely supervised at all times.